can I decide another day? : 30 May: "Letting Go"
Ok, lets also discuss how I kinda wrote about this on the 8th. Truth be told, I often have to remind myself to just let stuff go, which, I guess, is kinda different than "LETTING GO", since I can find a different in these similar statements. 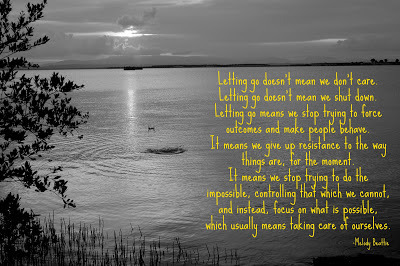 "to let stuff go" vs "letting go"
"to let stuff go" = the act of letting single/individual things pass. not necessarily to mean in the present tense. "letting go" = allowing things in the present tense, as in currently, right now, in this moment, to be out of your control. You see, one of these is harder for me than the other. 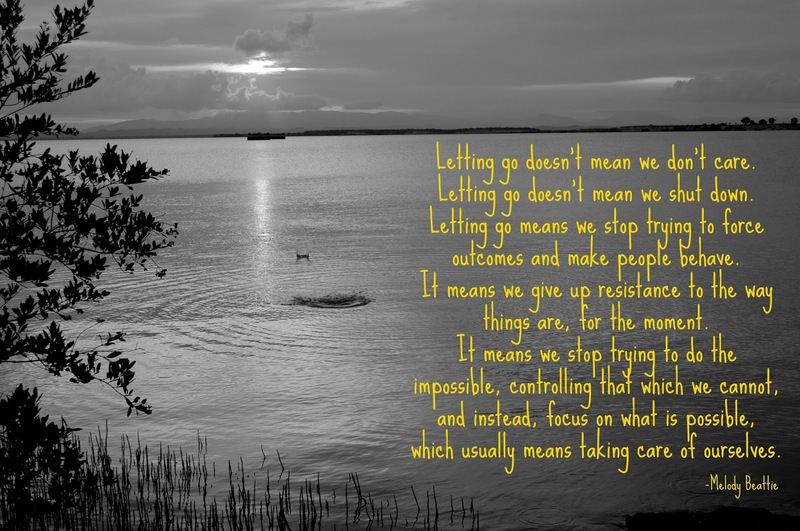 I can "let stuff go" all the time (except for being called the wrong title at work), but to just "let go" kills me. It's extremely hard for me not to be in control, which I've also talked about. Letting go also would kind of inflect some sort of progression/movement due to a change or loss. Photo by me in GTMO. Letting go is about allowing yourself to grow and learn from whatever experiences you're trying to not hang on to. I wish I could get better at this!